At GE Healthcare, customers determine our success. 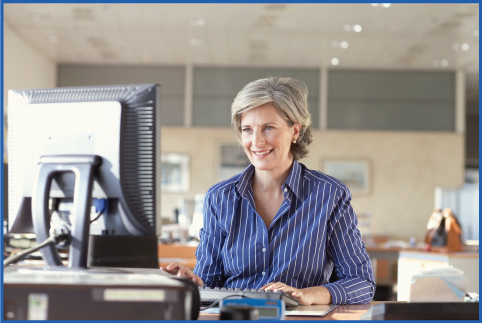 We deliver innovative software and services to help you increase clinical efficiency, enhance care quality, and strengthen financial performance. Given the new reality of value-based care, the digital health IT company you entrust with your future matters. That’s why GE Healthcare has put its full weight behind executing on our vision for the future of ambulatory care technology to help you navigate the fast-changing environment of new payment models. Explore GE Healthcare’s software, services, and partners below to see how we can enhance our offering to you. We are here as your trusted advisor for today, and tomorrow. 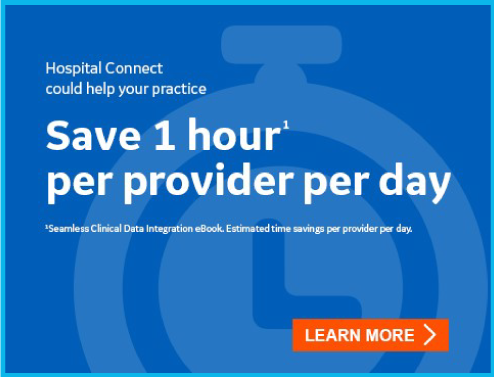 Learn how Hospital Connect can transform your practice. Transform your IT infrastructure, Improve System Performance, and Reduce Costs. Let GE Healthcare support your practice with our proven Quality Submission Service. Our team will submit your providers’ and/or group practices performance data directly to CMS and provide you with a confirmation of receipt and archived results in CQR. We support all MIPS performance categories (ACI, Quality, and IA), Group Reporting and CPC+. 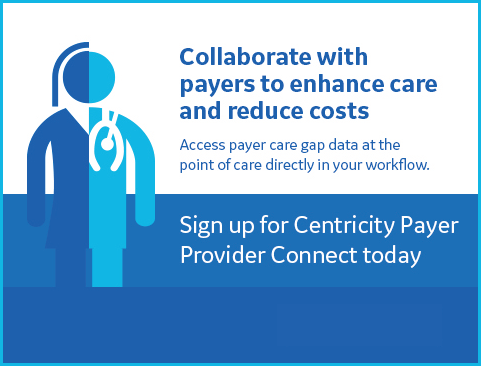 Boost your staff’s efficiency with Centricity Practice Solution through self-paced training. 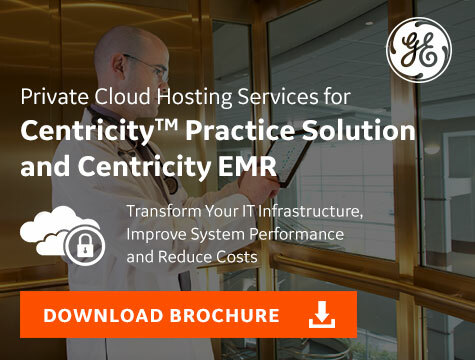 Available 24/7, computer-based training tutorials (CBTs) from GE Healthcare help your staff work efficiently with Centricity Practice Solution − whether their job focus is front desk, patient chart or back office. GE Healthcare helps foster better communication of key clinical information between payers and providers to support the adoption of value-based care. 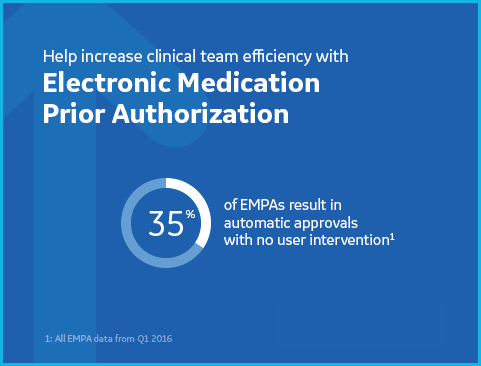 Learn how our solution helps you streamline and expedite the process to increase efficiency and enhance care quality. 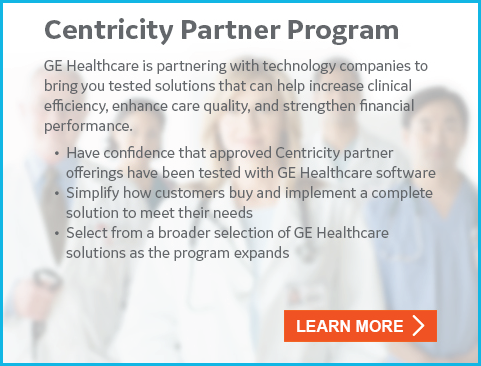 The Centricity Partner Program is a company-level recognition combined with comprehensive benefits for organizations that complement GE Healthcare Digital solutions.